- NOW WITH AN EXTRA 0% OFF! Finding a wireless access control system with audited trail and timed access parameters that is both easy to install and well built can be consuming and prove surprisingly difficult! 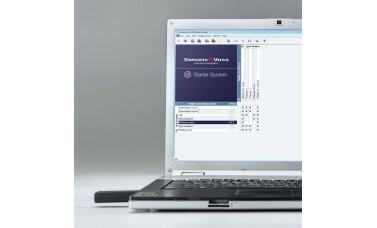 But now, with the Simons Voss Audited Trail Wireless Active Fob System you can have it all! Perfect for small to medium sized businesses where access logs are required, or even domestic settings where an event history throughout the building may be required, these systems are very scaleable and can be set up to allow monitored access to 100 users on 20 different devices. And of course you still have the option at a later date, to upgrade to a larger system that allows for more doors and more users. One of the most attractive benefits of these systems in addition to the action history logs and timed access, is of course that you have complete control of who has access, and there's no longer any risk of people getting keys cut or lending keys to somebody else. You choose exactly who has access to what, and when they have access. And the system's audited trail can tell you who gained access at what time, and even who tried and failed to gain access at what time. But if you only want to know who successfully gained access, you can switch the latter off. Each device - even the euro cylinders - can hold a massive 3,000 historical events, and once this is full, it will simply delete the oldest record every time a new event is logged. So no need to worry about monitoring whether or not the device's history log is getting full! With such a diverse range of access devices available, there really is a huge scope of functionality available with these systems. Not only can you enjoy the fantastic digital euro cylinders or the stunning smart handles, but now you can also have a good solid padlock working off the same system (again, no keys! ), and also with the Smart Relay, you can control existing locks or third-party devices such as motorised locks, electro-magnetic locks, and strike releases. So the possibilities are endless! It's clear just from holding these weighty devices, that no stone has been left unturned in the development of these devices. Not only do you get a high grade, stainless steel, smooth-operating device, but the technology within has really had a lot of thought put into it; right down to the battery technology. Simons Voss dedicated a lot of time to perfecting the battery usage on these devices, to product a miraculous 300,000 activations - or 10 years in stanby mode - from a single set of cell batteries. Yes, just two cell batteries will produce this staggering lifespan! In addition to all of the above, they've tackled another major issue of weatherproofing, and are able to offer IP65 weatherproofing on these devices, ensuring great resistance to harsh weather. Of course, the praise doesn't stop there. The cylinders have earned the European VdS stamp, and to our delight, they also comply to BS EN 1303 standards, as well as DIN 18252 and DIN EN 15684. And of course the padlock boasts a hardened steel shackle for your peace of mind. These are an installer's dream, too. No really, you'll be amazed at how simple it is. Every product is designed to be so simple to install that an avid DIY'er would not struggle. There's no wires needed, and the removal of the thumbturn knob on the cylinder for installation purposes is about as simple as it gets, much easier than a typical thumbturn cylinder, which is a well thought out decision from Simons Voss - big thumbs up there! And then there's another huge thumbs up when it comes to the fitting of the Smart Handle. Wait for it.... No drilling required! No, really.. The snap design on these is genius! Utilising the euro cylinder hole in the door, the handles are clamped together via a bolt that connects rigid plates on each handle, clamping them together with extraordinary strength. This clever idea means you can say goodbye to drilling loads of different holes in your door! If you plan on using the Smart Relay to trigger your own devices, such as motorised locks, electric strike releases or electro magnetic locks, then rest assured this has not been over-complicated either. Just a basic N/O, N/C set of contacts; job done! Programming your devices could not be simpler thanks to our programming demonstration video; walking you through the programming setup using the programming software and your USB-stick programming device. From here you can also control your time-based access and audited trail settings (event action history). The long-standing German manufacturer - Simons Voss - have really built up a great reputation with these systems, and their ability to think outside the box and devise solutions to common problems that none other can quite tackle. And on top of that, the reliability of the integral German engineering means quality control is at a high standard, and these guys really don't make anything below par - in fact, it is all distinctly above it! With over 1 million devices installed worldwide, this range of products are really gaining some substantial ground, where other systems fail to support the distinct requirements that Simons Voss cover on all bases. Additionally these are all backed by a 2 year warranty, and incredible direct support is available should you encounter any issues. Hi guys, my name is Darrel, and I'm head of the tech team here at Locks Online. Thanks for taking some time to tune in and have a quick look at one of our product review videos. Now today, I want to talk to you about a company that we've been trading with at least over 5 years. It's a German company; they're called SimonsVoss. Now they've been around doing access control solutions since round about 1995. So they've certainly got pedigree when it comes to longevity in this particular industry. What I have here on the table today is a range of their products. 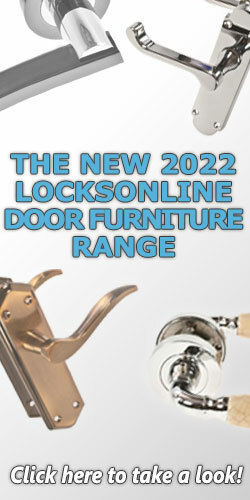 We've got their locking handle, and we've got a range of locking cylinders, as you can see here. We've also got a pin code. We've got a padlock. We've got a smart reader. So I'm going to try and go through those and explain exactly how they work in a little bit more detail. But first of all, what we need to do is we need to split these SimonsVoss Systems down into two different types of technology. So if you're actually interested in access or control solutions for your property, say, your house even, or for your office, etc., then you have two different types of technology that you can use. You can either use a card based technology, which is something like this. Which is basically a card, or a fob, which seems to be more prevalent in the UK, or you can actually use these transponders. This here, it can be hooked onto your key ring, no problem at all. Now this is the active technology, and that's what I want to concentrate on now first of all. Now SimonsVoss, when they first started developing electronic cylinders and so forth, they used this type of transponder as their active technology. And the principle is quite simple. As long as you're within, roughly about 1/2 a meter, maybe slightly less, you can press the button, and it will activate one of the electronic devices, either a cylinder or the handle. Then by pressing the handle down, etc. or turning the cylinder, you will then be able to open up the property. Now, very much similar to any type of cylinder, saving except that you now wouldn't necessarily have key, you'd have a transponder, you're then able to operate the actual cylinder and be able to get in and out of the property. So what we're doing, in effect, is we're getting rid of key, a mechanical key, and putting an electronic key in its place. Now one of the beautiful advantages of using this particular type of cylinder is that it allows you, if you wanted to have an option of [inaudible 00:02:37]. So you would be able to know who's coming in and out of the property as and when you wanted. You can either have a crash to exit, in which case you would be able to just unwind the cylinder to get out, or you can have it to where you need to have a controlled exit as well. Again, these cylinders can accommodate for that. But also what it allows you to do, it allows you to edit, add, delete users. So it's not like as if when you've lost your key. When you lose a key you might have to change the cylinder because of security, and then you've got to have all of those keys copied again. It's quite simple. You just delete people from the program. Now you also have on here, as well, in regards to active technology, you can have a pin code. And this is a battery driven devic,e as you can see on the back here. So again, no wires here. There's nothing to physically connect. that's one of the key advantages that SimonsVoss has. Is there actually is no physical wires that are needed here. As long as this is within a certain range of the cylinder, you can then pop in a code in here, engage the cylinder, turn the cylinder, and you'll be able to open the door. You can also work this particular pin code here with the locking handle that you see here on my left. 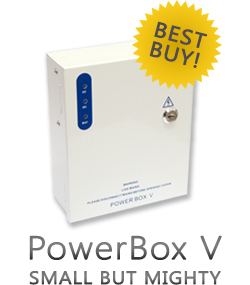 Now, SimonsVoss knows that there are already access control systems already out on the market. 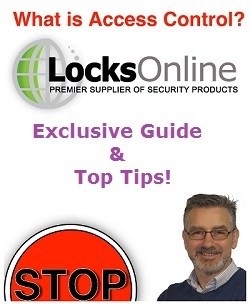 Sometimes if you've already got an access control system installed, but you're thinking too how convenient and easy this would be just to swap your euro cylinders and put a euro cylinder that's an access controlled solution, but you've already have a separate solution, say, on the front door or to a different unit, etc. 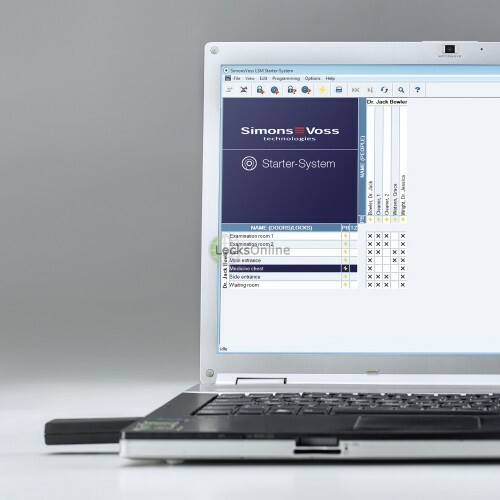 What SimonsVoss has done, is they've created this smart relay that allows this active technology, then, and the passive technology, needless to say, to be able to interface with existing access control systems. If you are engineering based, what you can see, if I pulled that open there, you would be able to see the terminations in there. It's quite simple, a normal open, normal closed set of relays. This can be programmed to suite your particular application. So you can obviously tell that SimonsVoss is forward thinking in regards to interfacing and integrating in different forms of technology. Now there may be a reason why you might want to consider having this particular type of system, but you want to be able to access its features almost instantaneously. In other words, you might want to change a feature and stop Jim getting in through door number five. Well then, you can actually connect these up to its own wireless system which can be interfaced into your intranet system within your site. It uses its priority 868 megahertz frequency, so therefore, then, it's not like its Wi-Fi that could be hacked, etc., they've actually sat down and thought about this and they've used their own priority frequency in which to communicate between the access control software and the actual nodes, etc. If you were to have one of these cylinders and you thought to yourself, "Later on I want to have the ability to remotely access it," It's quite simple. You just change these heads and inside there is a little Wi-Fi node. You have to get a module as well to sit on your network, so therefore, then, the two can communicate. Under normal circumstances, if you do want to program these cylinders, you can either do it through the starter software, and you get a laptop, you go near the cylinder and you'll be able to program it with the starter version using this little dongle, this USB dongle. Or if you decide to go for the basic system, which gives you more integration, more users, etc., then you would use this particular model here. The idea is quite simple and straightforward. You would add, edit, delete, whatever you want for a particular door. You would go up to the door with a laptop, etc., and you would be able to program that directly. Or take the cylinder out and bring it back to the office to program. So it is as straightforward and easy as that. SimonsVoss also recognizes and understands that sometimes there's a requirement to have padlocks, etc. as part of your access control solution. Quite unique to SimonsVoss, they've even interfaced the active technology and so forth into the actual range of padlocks that they do with different grades of shackle, etc., depending on your security requirements. So, you know, they're really thinking about the overall, complete solution for your particular application. In most cases, you might find yourself looking for an access control solution. You may have rented an office, etc., they have a couple of lockable doors inside. I could see the scenario now; you want to restrict access to those particular areas. You don't want to have keys everywhere. This is where SimonsVoss really comes into its own. It's quite simple just to take the cylinders out, pop the SimonsVoss cylinders in, or simply just change the handles. Now one of the beautiful things about this particular handle, if you have a din series lock case on your door, that would have had a cylinder down here somewhere, then these particular handles uses the place where the cylinder walls to be able to clamp together, as one of the variations. Therefore, you could in effect, rent your property, change the handles, three, four, five years later, you leave, you can take your handles with you, pop the old handles back on, and nobody would be none-the-wiser. So you are able to take the access control solution as well as the cylinders with you if you do decide to upgrade and you decide to move on. I might therefore, then [inaudible 00:07:58] SimonsVoss as well to actually recognizing that in regards to different types of technology that they have. For an example, they're able to allow you to start off with a small system, it's called a starter based system, where you would have this little dongle here. You can control up to 20 doors with 100 users with that. But then, let's say, for example, your business then expanded, well then you can also expand the SimonsVoss solution. So therefore, then, you can get up into the basic settings as well, and into the more advanced system that allows you up to somewhere in the region of 64,000 odd doors, etc., a phenomenal amount of capacity and scope. So that's just geven you some sort of, or an outline, in regards to the SimonsVoss product. One of the most important things is the battery technology. I need to emphasize this. One thing that SimonsVoss have been doing over the years is looking at the battery and drainage technology within their devices. And it allows them for incredible usage in regards to their batteries. For an example, I mean, on these cylinders alone, you can have somewhere in the range of 300 thousand applications and activation of that cylinder before you need to start reconsidering changing the batteries. It can sit in standby mode in an excess of 10 years. It's absolutely phenomenal. In fact, on a mean average, you would expect to get 8 years' usage out of the batteries in one of these cylinders. But what I'm going to also do as well time flies, and we're looking at all of this, we're going to do a couple of other little videos of how easy it is to actually change the batteries and so forth in these devices; and also look at how easy it is to shut the cylinders down and therefore showing you, roughly, how you can fit these cylinders in the door. How quick and easy it actually is. 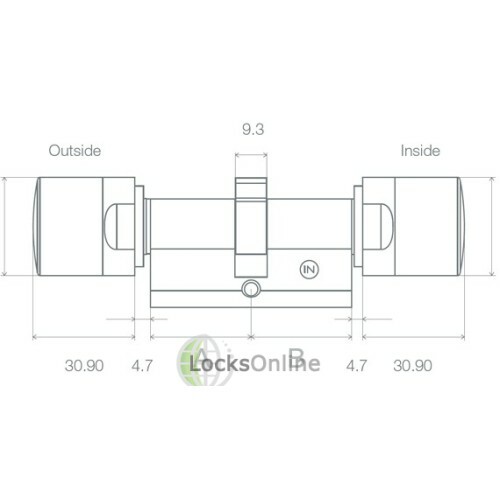 But rest assured, Locks Online has been an approved re-seller of SimonsVoss in the UK now for over five years, and we've had very, very nice customers and so forth in regards to these sort of products. So you know, we've got the advice, and we've got the information, and of course we've got the backup of a significant European company, SimonsVoss. But if you need a bit more information, you want a bit more help, or you're looking for advice, or you want us to help design a solution for you, SimonsVoss is very, very active in this country, and I'm quite prepared, if you feel that you need to, they'll come and have a chat with you on the bigger and the larger systems as well. Needless to say, it's just as easy at home, in your house, etc., you can program it for your home, doors, etc., you can do as you want and it's totally scalable. So like I said, if you need a bit more information, you want a bit more advice, pop an e-mail over, use the live chat we have, or by all means give us a call. The telephone number is 0845 2300201. So from me Darrel, and all of us here at the tech team, I hope you've enjoyed the video, and I hope to speak to you soon. Take care. Bye bye now. Hi guys. My name is Darrel. I am the head of the tech team here at Locksonline. Thanks for taking some time to tune in and have a look at one of our review videos. Today we are going to look at the Simons Voss Cylinder and lot of people ask us "Hey, how easy is it to fit the cylinders into doors etc.?" So if you can imagine already have a UPVC door on front of your house or perhaps you have an office where you want to change cylinders for a Simons Voss Cylinder etc. and therefore you can have access control or you want to be able to control people coming in and out through any particular door. You may already have a Euro Profile style lock already on the door. Well it's quiet simple. What you need to do is to take the old cylinder out, and pop in the new cylinder. But there's a little technique you need to know to be able to take one of the heads off the cylinder to allow you to pop the actual cylinder into the lock. Here is the actual Simons Voss cylinder. Now you will see here there's one side here is a black bar and the another side that doesn't have. So it's the side that doesn't is the side that can come off. So this particular part here will come off. When you buy Simons Voss Cylinder, it will come with a tool that's similar to this but it's a little bit more lighter version. This is more the professional tool if you're using Simons Voss on a daily basis and as you will see here there's two little icons or indents on the actual tool. And the idea is that these will actually engage inside this particular cylinder to allow you to take the cap off. So when you actually look at this type of particular type of cylinder here you will see that there is a little groove just in there. I don't know if you can see. And there is also one there with opposing side just there. And the idea is, with that tool it allows you to engage into there and allow you to twist. And by twisting it what you have actually done is you've unlocked the turn coming off. So if I was to give a little bit of a pull like that I have now taken the turn off and allows you to slide the cylinder into the lock and then you will be able to then put the turn back on. You see that there is a rubber band on here and therefore you need to give a little bit of pulling to be able to get it off because you feel the friction of the rubber holding it on. And very, very simply once you've already got it back into the door etc., you just push that back on there like that and then with your tool again you would then insert it between the door and the actual cylinder and you pop that back into the lock position there like that and there you go, back now actually in the lock position and everything is back the way it should be. So there you go guys. That's how easy it is to actually fit a cylinder when you need to take the old cylinder out, take the screw out, take the whole cylinder out, undo the head, slide the cylinder in, pop the screw back in, pop the cover on, drop in. It is as simple as that. So if you are looking for an access control solution you don't want to run cables everywhere, you don't want to have to drill holes in walls and so forth to actually fit an access control solution, this is how easy Simons Voss is to use. So if you need a bit more information on this or on any of the products that we have on our website, by all means pop us over an email. Use the live chat that we have, it's totally free. You may speak to me or any of the tech guys or any of the sales guys. 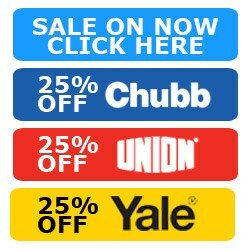 Or pop us over an email, enquiries@locksonline.co.uk. Thank you very much. Take care bye-bye. Hi, guys. My name is Darrel and I'm head of the tech team here at LocksOnline. Thanks for taking some time to tune in and have a look at one of our product review videos. Now, today I want to talk to you about SimonsVoss. 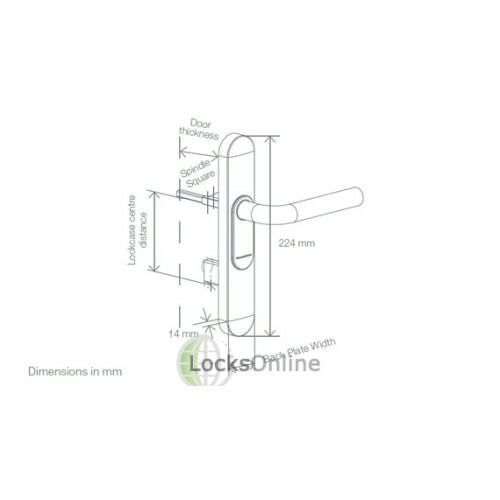 We have a massive range of SimonsVoss cylinders and handles, etc., that are for access control solutions on our website. And one of the questions that the customers keep asking us, because they're a battery driven product, is that how easy is it to change the batteries actually in these cylinders? Now, one of the beautiful things about SimonsVoss is their battery technology. It is absolutely amazing how long these particular cylinders, etc., will last for usage. You can get five, six, seven, eight years' worth of usage out of these cylinders, etc., through typical use. And you're looking at somewhere in the region of about 300,000 applications in regards to activations in regards to opening this particular type of cylinders. So sit down, do the maths. If you are actually operating it four or five times a day that gives you some sort of idea as to how long that the batteries will last. But eventually, the batteries will need to be replaced, and we're doing this short little video to be able to show you guys how easy it is to change the batteries on a SimonsVoss cylinder. So one thing that comes with the SimonsVoss cylinder is a tool similar to this. This is more of a professional tool that's available. It's designed to be a bit more heavyweight. If you're actually working with SimonsVoss all the time, like we are, then we would have this tool. But there is one that would come with the cylinder as standard. Now, what you'll see is there's two little prongs actually on the actual tool there, as you can see. And the idea of those two prongs, they actually engage with the head of the actual cylinder as well. So when you look at the cylinder and what you will see is there is a black piece on this side and then there's a not black piece on that side over there, as you can see. It's this black side here is the side that is actually carrying the batteries. And if I was to turn that around there like that, you will then be able to zoom in. You can see there's a little nodule there and if I turn the cylinder around there, you can see the other nodule there. So that tells you where those two pins there engage with. And the idea is that I would turn this cam here, twist it slightly and it will allow me then to be able to take that knob there off and therefore then, I will be able to get into the battery compartment. So very simply, what I do is I pop that on there like that and I then turn it then. You can feel it there, as you can see me just tipping it there. You can see how it's actually turning there. So once you turn that and into the open position, it allows you to pop that away there like that. And then, with a little bit of force, you need to pull that off there like that. Now, you can see there's a rubber ring and so forth there. And therefore then, you do need to give it a little bit of a wiggle to get it out. And as you can see there then, we have the batteries in. It's quite simply you just change the two batteries. They have two batteries in there to give the longevity that we'll be looking for. And then, very, very simply, that then pops back on there like that. Push it down for a twist, pop that back on there like that, and then very, very simply, you just pop that in there, and you give that a click like that and that's now back in the locked position, all done and dusted. So you've actually changed the batteries. Now, you can buy the batteries from us, if you need to. They're standard type batteries, but we do a more commercially graded one to give you the longevity that you're looking for. If you take this cap away, there are little indicators inside that tell you how it goes on. It will only go on one way, so don't force it. It will only go on one way, so be delicate when you go to try and put it back on. Now, of course, there you are and that's it. And then we press the button here like that. You hear it bleep and now that's the cylinder working as if we've changed the batteries. So there you go, guys. That's basically how to change the batteries on a SimonsVoss cylinder. But listen, if you need a bit more information or you want a bit more advice on this or any of the products that we have, by all means, pop us over a call. Use the live chat that we have or pop us over an email. 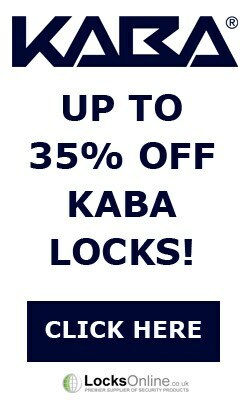 It's enquiries@locksonline.co.uk. Thanks for taking the time. Hope to catch you real soon. Take care, bye-bye now.